It’s another big week for comic book releases. This week we’re featuring previews from some titles from Archie Comics, Dynamite Comics, and BOOM! Studios that we think you’ll be interested in. We’ve kept our tabs on many books this year, especially from the independent publishers. The best reads this year have been produced by writers and artists from the independents. Let’s take a look at previews from six issues coming to comic book stores everywhere tomorrow, Comic Book Wednesday, May 27. 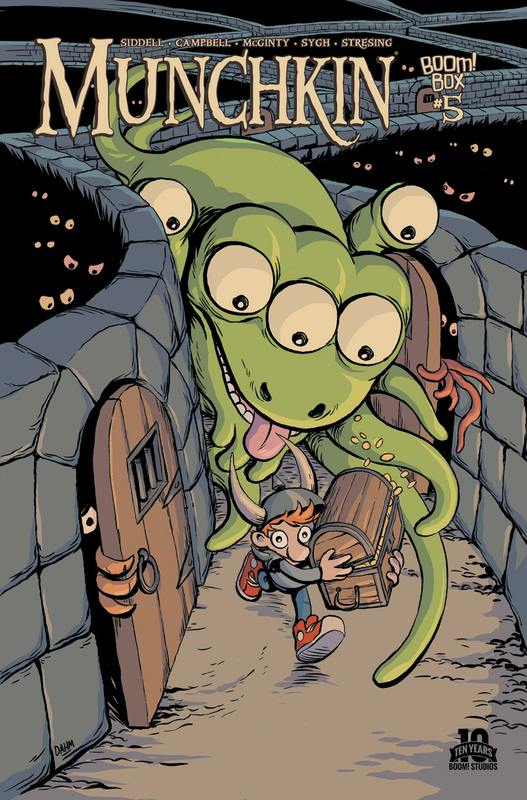 Munchkin is based on the popular fantasy card game, and the series has kept up with the spirit of the game, and offers something for everyone. It’s now up to Issue #5, written by Tom Siddell and Shannon Campbell, with art by Ian McGinty and Rian Sygh. Published by the BOOM! Box imprint of BOOM! Studios. 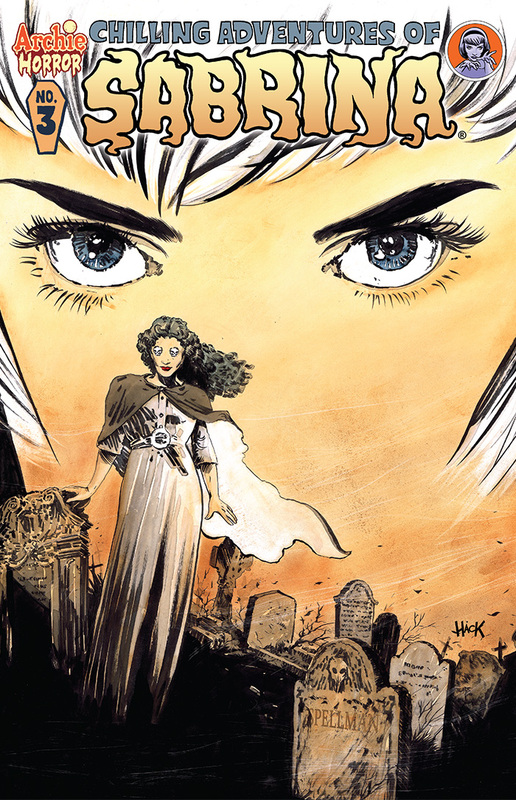 Like Afterlife with Archie, Chilling Adventures of Sabrina is one of those series from Archie Comics you just can’t pass up. From its new Archie Horror imprint, the series is now on Issue #3, written by Roberto Aguirre-Sacasa, with artwork by Robert Hack. From Dynamite Comics we have the next tie-in to the Swords of Sorrow event series, Swords of Sorrow: Masquerade & Kato, a one-shot issue. Written by G. Willow Wilson and Erica Schultz with art by Noah Salonga, this will be a must-have if you’re following the big mash-up series of the year. 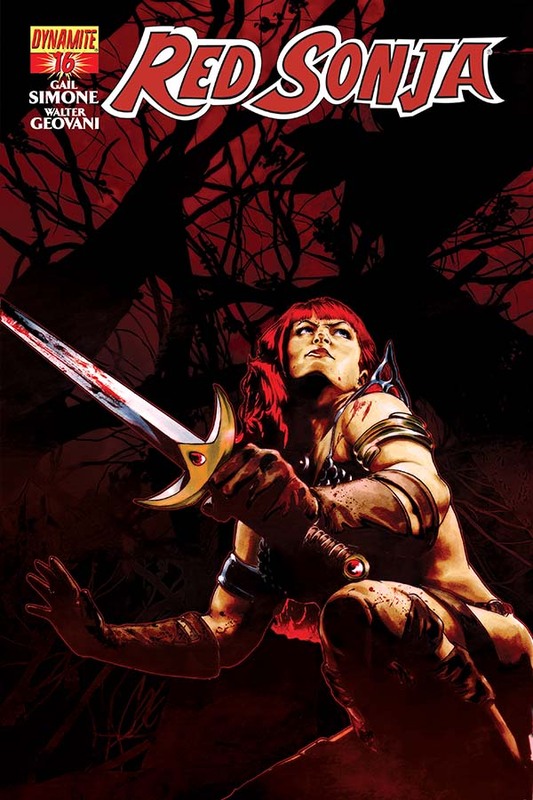 Also from Dynamite Comics is the next issue of Red Sonja, Issue #16. In addition to the classic fantasy art cover art with each issue, Red Sonja has some of the best interior work being published, thanks to artist Walter Geovani. 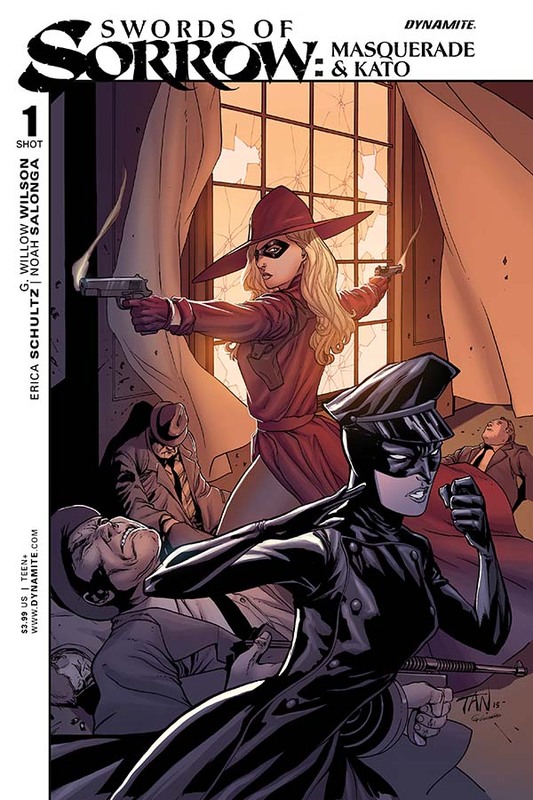 Gail Simone is writer on this series.